A facility for laser-based automated manufacturing of carbon composites. The project aims to create an advanced manufacturing facility for carbon-composites research by integrating laser-based processing and robotic automation. 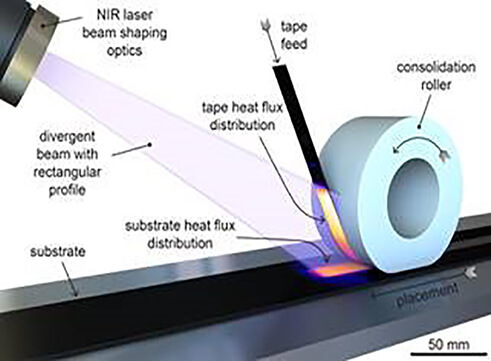 It will enable fundamental research on rapid processing of high-performance thermoplastics and metal-composite hybrids, including functionalisation of the composite through nano-material coating technology, and new instrumentation for structural health monitoring. The facility will significantly enhance the research capability in the newly established ARC Training Centre for Automated Manufacture of Advanced Composites, which will engage with Australian industry to improve productivity and material performance for industry sectors such as aerospace, automotive, marine, and sport.